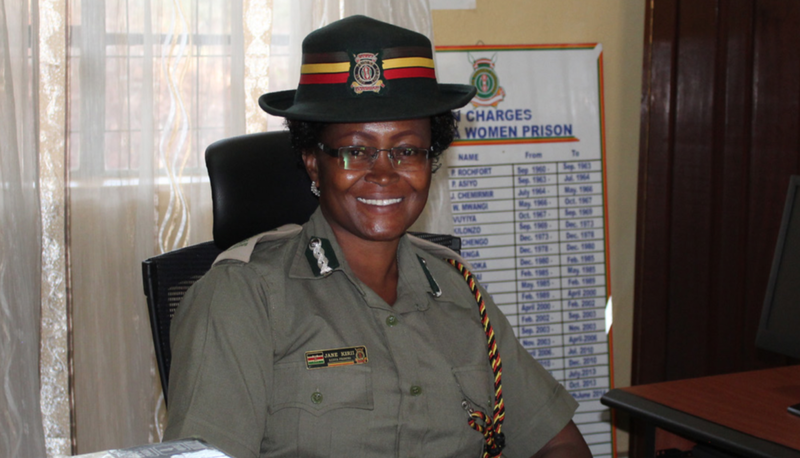 Madam Jane Kiiri is the current Officer in Charge at Lang’ata Women’s Prison in Kenya. For the past 27 years, Jane has worked in the Prison Service where she has gained extensive experience having been in charge of various prison facilities. In 2013, Jane was selected as the first beneficiary of African Prisons Project Master’s Scholarship Programme for prison staff to study Education and Leadership Management at Oxford Brookes University in England. This was an opportunity she seized with both hands having been shortlisted amongst many other officers. Despite the fact that she had to leave her immediate family behind to study abroad, Jane was not deterred. “I encourage women not to limit themselves. Many women let opportunities surpass them, worrying that their families will not be okay, I did remote parenting while I was away and was surprised that my children were actually doing fine.” says Jane. without fear of contradiction from other colleagues. The exposure to a different learning system has changed her general perception towards education, giving her the desire to become a lecturer in future. The knowledge that she acquired during her studies have also played a major role in the delivery of her work as a senior prison officer. As Officer In Charge, Jane now supports her staff as they pursue their education. “My greatest expectation is that one day, I will live to see prison staff members that are motivated and self-driven without having to use hierarchy and command,” says Jane. In her tenure of work, she prides herself in being able to impact the life of an inmate as they reintegrate back into the society. While working at a Youth Correctional Training Centre, Jane was able to help many of the boys, with one of them successfully returning to school and going on to University. APP will continue to supporting more prison officers like Jane through providing similar opportunities for them to develop themselves and use their newly acquired skills to bring positive change to society.